The installation on that maplight looks great! Nice and clean! Its not even mismatched in color. Props!!! Thanks guys. Took the good part of a weekend to get that map/homelink done. It really is a nice looking and perfect working piece for the cars upper interior. When I roll to work at just before 5am the ambient light is so nice. It matches the blue of the lighted ring around the push button start also. 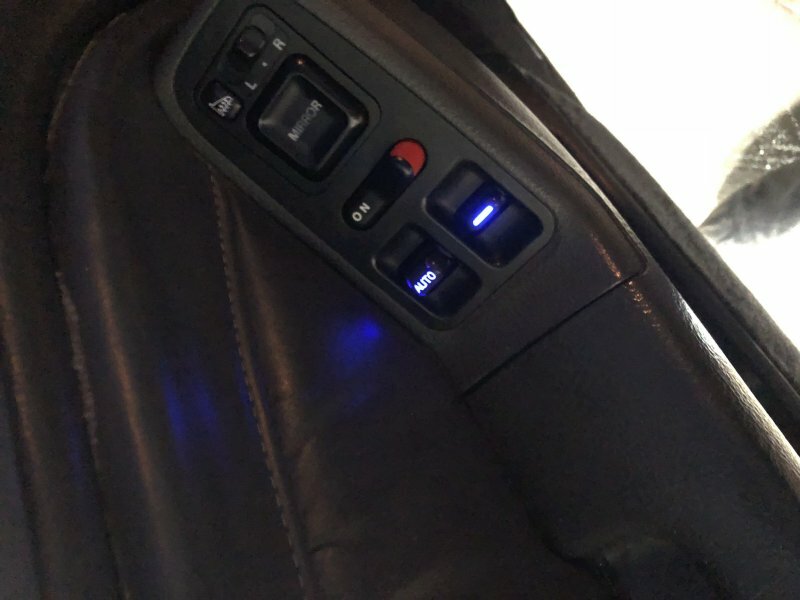 Since these accessories are blue I went with a blue led setup for my bb6 cluster and this weekend I will be grabbing the lighted window switches from a CRV at pap. I ordered some blue 3mm leds and resistors to get the switches all lighted up too. My Acura CL carpet has a slight blue hue as well as my headliner, that is from a white car, is a light blue/gray color. All of this ties together well in dark and daylight situations. 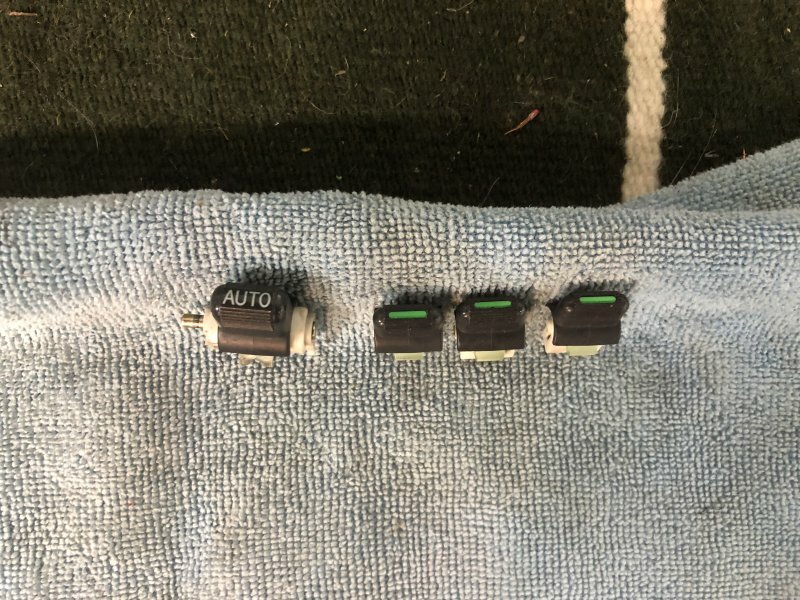 Next up will be the power folding mirrors complete with blue tint plus heat and I’m going to try and use one of the automatic mirror open/close setups I’ve seen online that work with the ignition and lock/unlock functions of my passive keyless entry. i haven't been on this site in years it seems..then i come on here and seen this beautiful coupe of yours and it makes me want to start on the interior of my sedan. This thing is awesome! The attention to detail and patients you have to find and install all of these near perfect shape pieces is amazing! This is how they should have came from the factory! I'll be keeping my eye on this post! Today I got the CRV window switches for the lighted conversion. Since I have a coupe I will obviously only need 3. I’ll probab grab another set this weekend for shits & gigs. 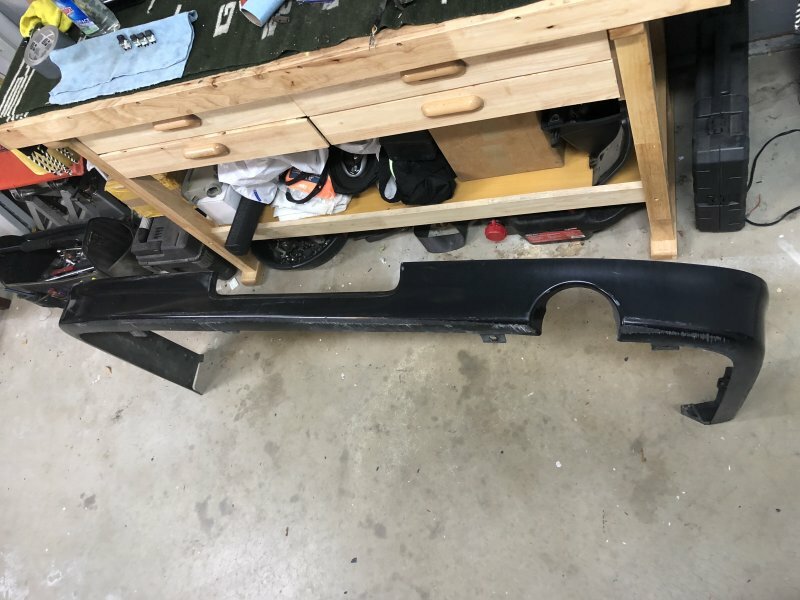 I also scored this 02-03 Mitsubishi Lancer rear lip. There is another recently “pic revived” thread with this lip on the last page. It’s actually a rear lip that appeals to me. And I found it in black. In other news the CD pfm’s I got will not work for a CB mirror housing. Most things especially the most important features just do not match up at all. 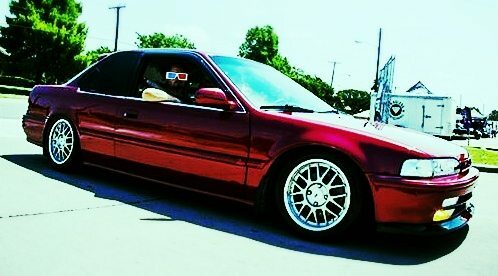 I’m going to go with the jdm Inspire/TL UA1 pfm set up and just pop them on my coupe perches. I like the look of the UA1 housings anyways. Gotta find some clean black TL housings now. Last edited by NH-503P-3; 01-18-2018 at 11:30 PM. Can you post some pictures of your CD PFM motors? I find it interesting that you're having problems and I'd like to compare them to the ones that I have that I was told were CD PFM motors. Great job on the work you've done with this car I love it!! Thanks for the compliments guys. I work every weekend on this car. The compliments let me know that, while I may have no life, at least my car is living a new life for the better lol. Jchsmiley-the coupe in your sig I’m pretty sure I have a saved pic of from a while back before I bought my car. Inspiration ya know. Love the red. My gray leather interior panels came from a red EX coupe. In the top pic you can see the mirror adjustment motor is not the same. The CD mirror is larger so the centering if the mounting points are different as well as the mounting piece of course. The adjustment motor also unplugs from its harness wich is nice. The CB Adjustment motor will not fit and cannot be mounted in the CD frame. While the frame itself with the motor will bolt into the CB housing the bottom pic shows that the cast metal piece that screws to the perch will definitely not bolt to a CB perch. Maybe you have DC integra pfm internals. I’ve seen the perch mounting pattern on them and they look like they will bolt up to a CB perch. DC integra mirror housings look almost just like the TL housings. I think the DC mirror lenses might be different from the TL & CB lenses. Then that in turn throws off the lense mounting configuration. Also the TL mirror lenses will not match up with the CD adjustment motor mounts either. It probably would mount but ends up sitting to high in the housing. I’m going to grab a black TL mirror housing set at pap tomorrow. Last edited by NH-503P-3; 01-20-2018 at 12:26 AM. 1. The mirror lense on 90-93 CB Accord, 96-98 TL and 94-2000 Integra are all the same size & shape. 2. 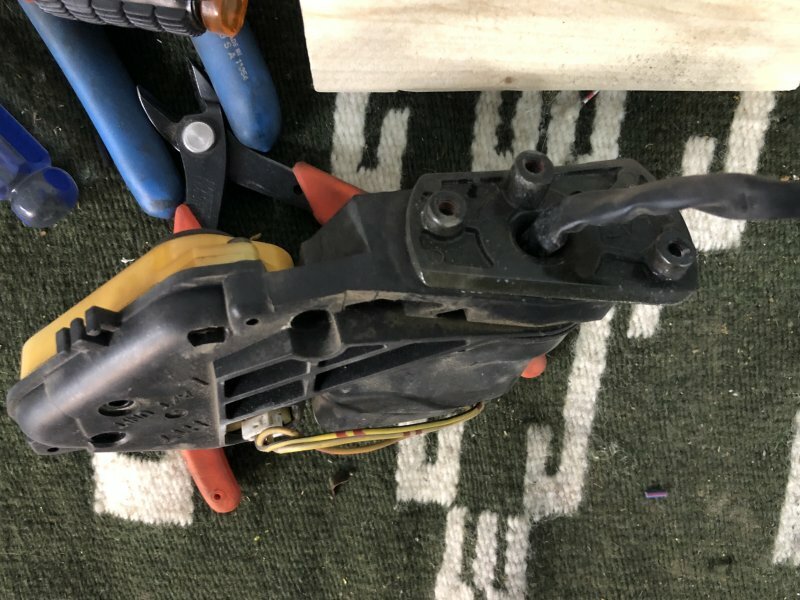 The mirror housing on 90-93 CB Accord and 94-95 Integra is vertually identical. There is a couple small differences in the opening where the 3 bolt perch mount is. Other than that the basic size and overall look are exactly the same. 3. 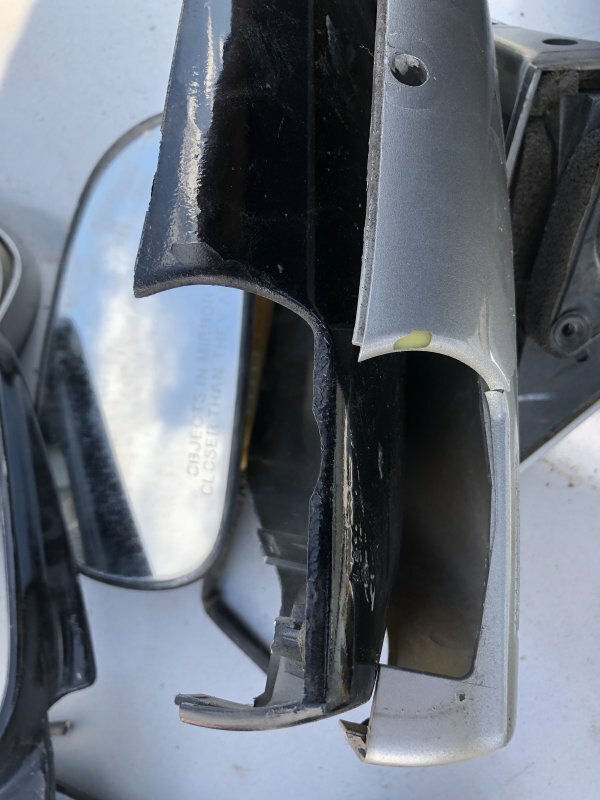 The mirror housing on 96-2000 Integra and 96-98 TL are virtually the same. The basic size an overall look are exactly the same. These housings are different from the CB and early DC Integra types by having a rib that bumps out on the back of the housing. It’s easy to tell them from the smooth back housing of the CB early DC type. 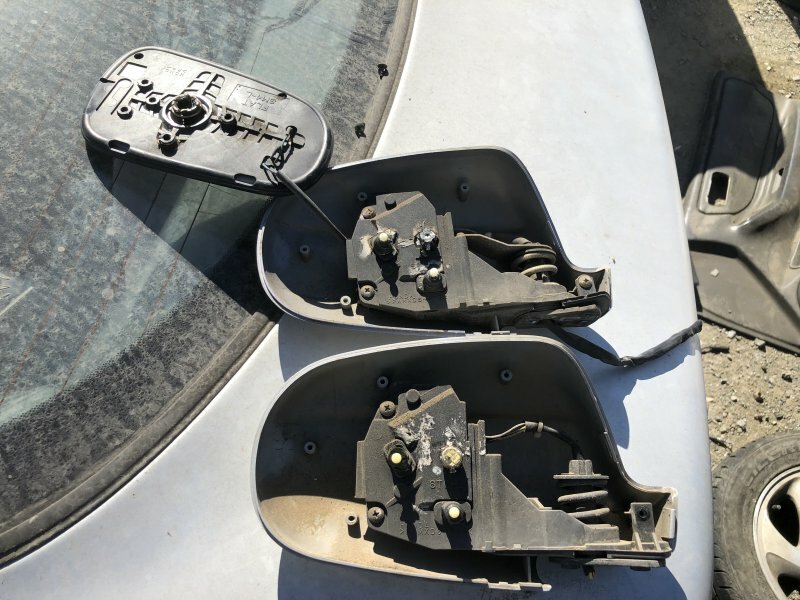 Below is a pic of a CB mirror on the left and a DC integra mirror on the right. 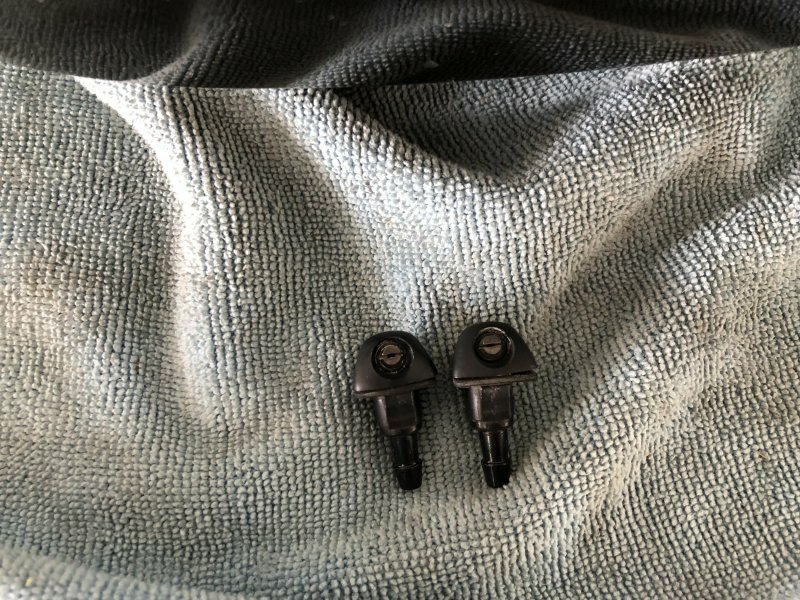 You can see they have the same perch mounting bolt pattern. You can see the main difference is in the opening and how the plastic of the housing surrounds the perch mount. The TL mirrors have the same opening as the Integra housings of course. Here the difference in the openings I was talking about. The CB is on the right. DC on the left. This has no effect on how the mirrors bolt on. Say if you were to put DC Integra mirrors on your CB perch. 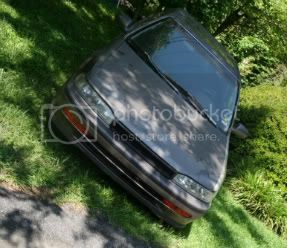 In conclusion you can go on the cheap and buy a set of early 94-95 DC Integra pfm’s, swap the mirrors onto your CB perches and have an OEM CB side mirror look. 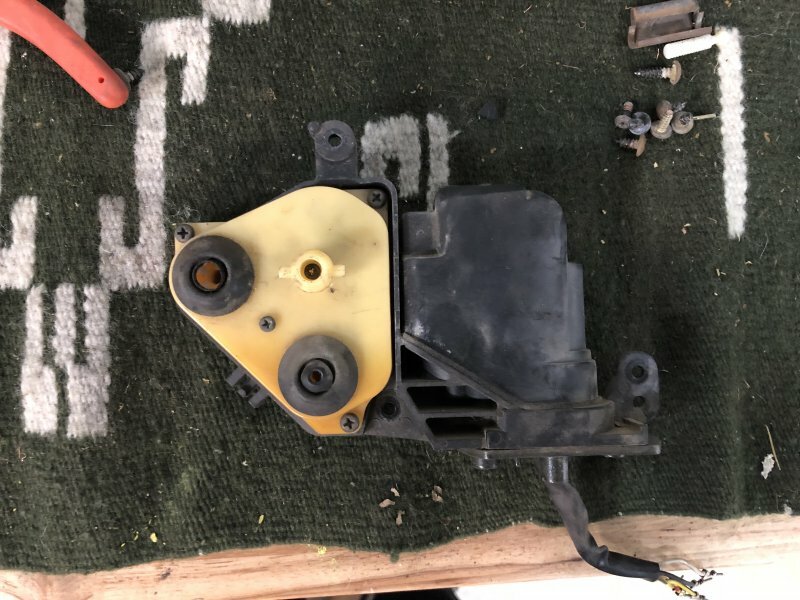 I’m pretty sure you can’t swap the Integra internals into the CB housing to retain your same color on your mirrors because the Integra internals don’t bolt into the CB housings. I tried it at pap and they didn’t match. But the whole Integra mirror lense & housing will bolt to the CB perch. So try and find a set that is the same color as your car. Today I plucked a set of black mirrors from a 96 TL. I like the later style of these mirrors having the rib on the back just like 96-2000 Integra mirrors have. The TL mirrors even have the SM4 markings on them. The TL mirrors I got also have a similar inner frame & mirror adjustment motor type as the CB Accord. They bolt in the same also. So all I did was remove my CB mirror internals and transfer them to the TL housings then bolt the TL housings to my CB coupe perches. Here is the finished piece mounted on my car. You can see the rib on the back. Soon I will see what internals the jdm Inspire/TL UA1 pfm’s have and weather I’ll have to change the mirror lense base for the heat option. When I was at pap I grabbed a set of CRV window squirters. I soaked them in some calcium removing cleaner for a couple hours and then blew them out with some air. They have a nicer spray pattern than the CB double stream. Well worth swapping. I also grabbed a set of clean rear mud guards. 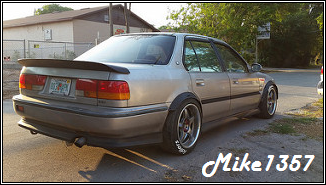 One of mine on my car is kinda jacked up so I need a good set for when I install the Lancer rear lip. I gotta figure out how I’m going to get the lip attached also. Next up I started on a project that I had all of the pieces for already. Just hadn’t got around to it. I was thinking my car has a lil too much amber up front. 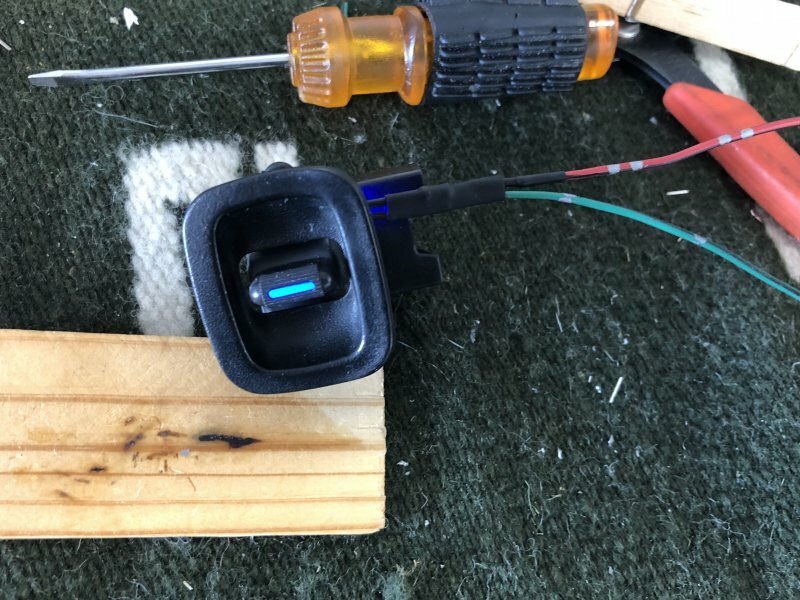 I saw in the diys an old thread on building Si-T bumper lights but of course no pics to see now. They look pretty cool and definitely not common here in the US. The only set I’ve seen for sale is on eBay and they want $500 for them. F-that! Apparently the best way to build these are to start with the original Stanley housings. 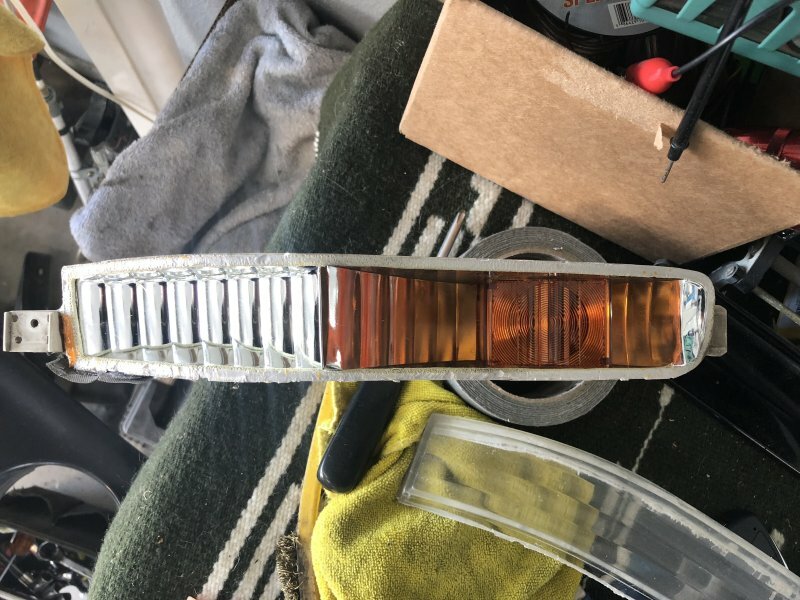 I broke out the amber top lense and pulled out the clear diffuser and painted it with some orange stained glass paint (Krylon) here it is all done and the metal piece back in. 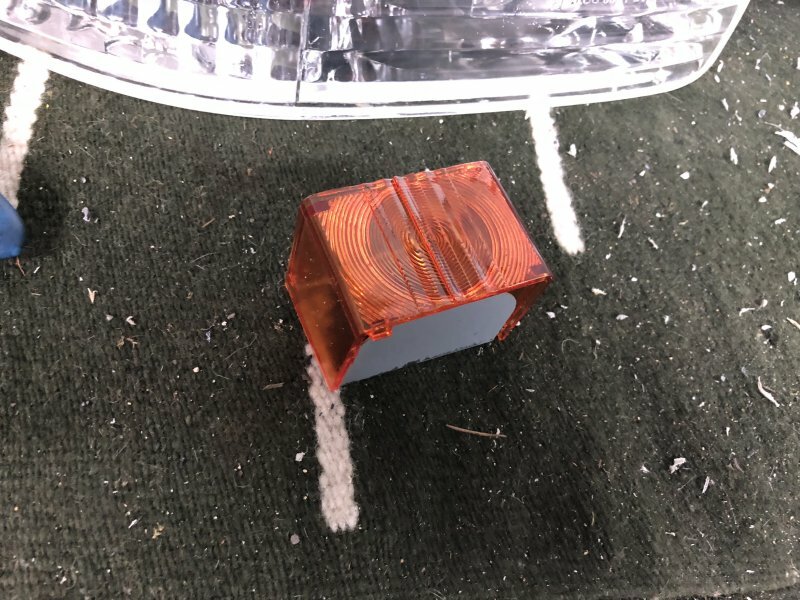 Here is the amber diffuser installed back in the og Stanley housing. Then I Dremeled the top lense out of a set of clear bumper lights I bought cheap on eBay. Like 12 bucks cheap. All you need is the lense anyways. Cleaned up the edges and siliconed it to the Stanley half. That’s one down. One more to go. But I think it turned out nice and just like the real deals for a hell of a lot less lol. those sir-t lights are high on my list of next mods. yours look just like the oem ones lol. 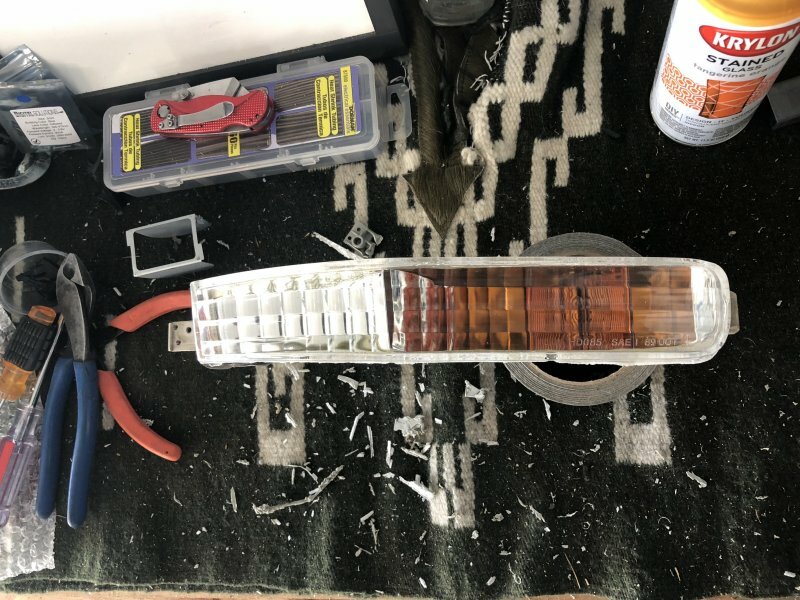 I finished up the Si-T bumper lights today. Forgot to get a daylight pic. But they look way better than the plain old full amber lights. This is the passenger side all ready to go. This is the master switch with the leds at the bottom. If I build another I will run the wire to the left instead of right. More room on that side for the wires. This is the master installed and finished. I may need to get another set of switches and try it that way. I replaced the diffusers in the white plastic inner switch body with a 3mm LED. It required a little bit of clearancing, but it fit and shines nicely. The problem is that it has poor articulation now. Yours seems to be just fine using the OEM diffusers. I didn't think mine would with a white LED through the green. Did you try a white LED at all? Well I only have a couple types of blue leds. One thing I’m having a hard time at is getting more of these switches. All the CRVs I go to lately at pap have had the whole window switch panel snatched already. Idk how I got lucky on the first one I came to a week ago. Oh well there will be more to search next week. Blue leather. It’s a little dry but none of it is ripped. Still very usable. Unlike the rest of the interior, seats etc. 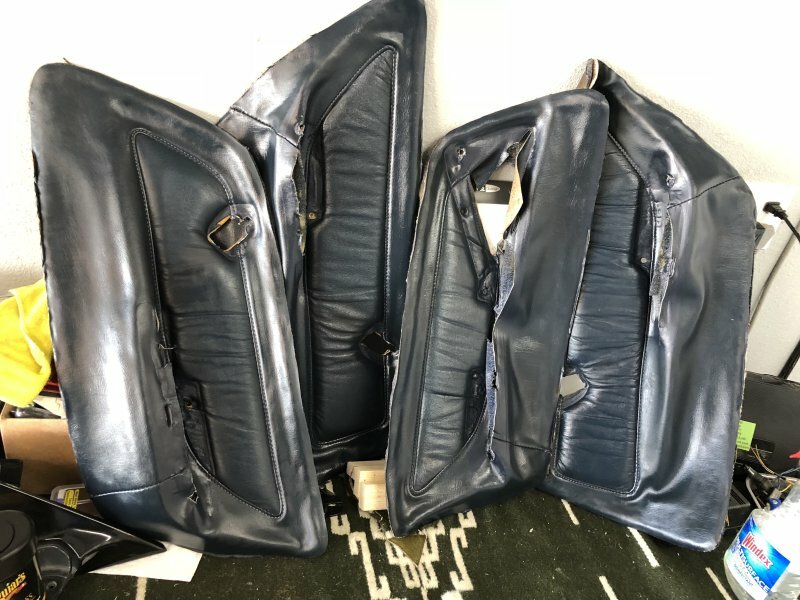 I also removed a set of the factory tan leather panels from a 93 SE. It’s interesting that the factory leather is attached to a metal panel that then sits in the whole door panel while all other non factory leather is attached straight to the door panels. I got a nice set of the “Bose” speaker tags from the panels too. 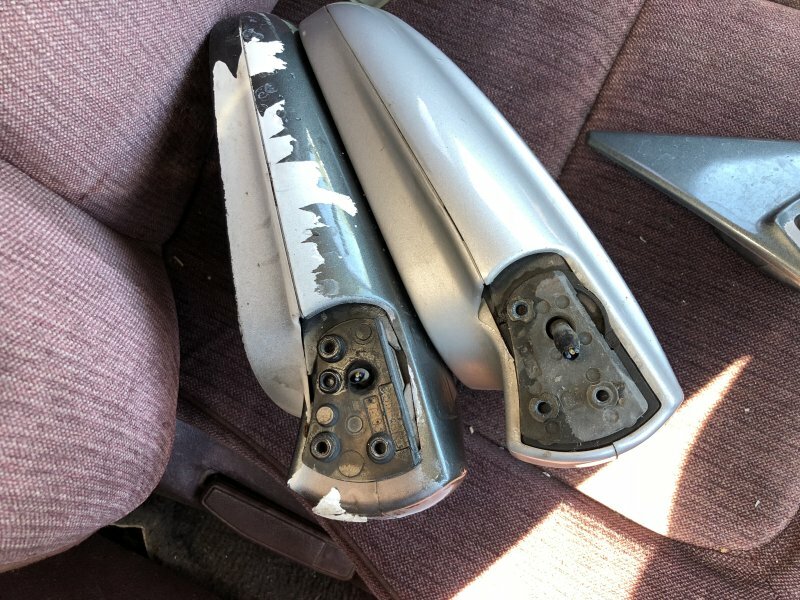 I also grabbed a set of black coupe side mirror perches. 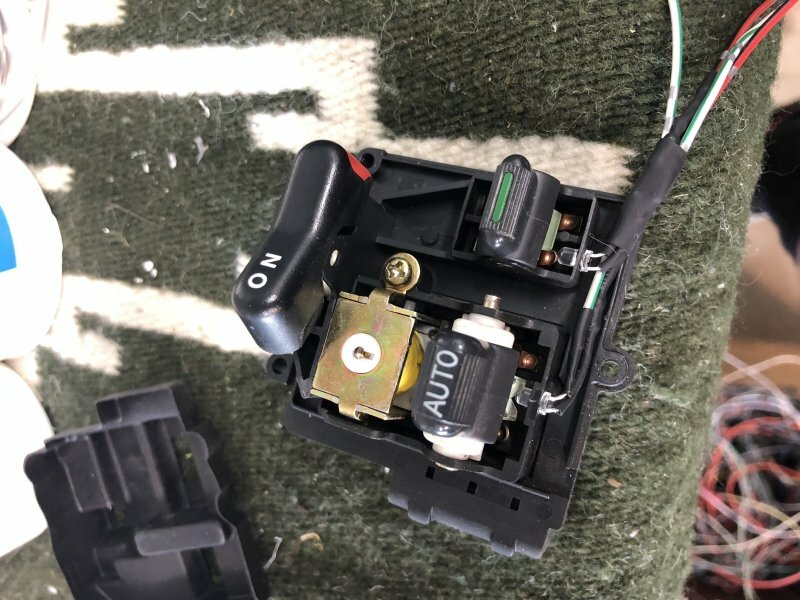 Doing some more research I found that the 96-98 TL mirrors that come with heated lenses match the same internals as the DC Integras. Here’s a pic. The TL housings without heat match the CB internals and that’s what I have on my car now. 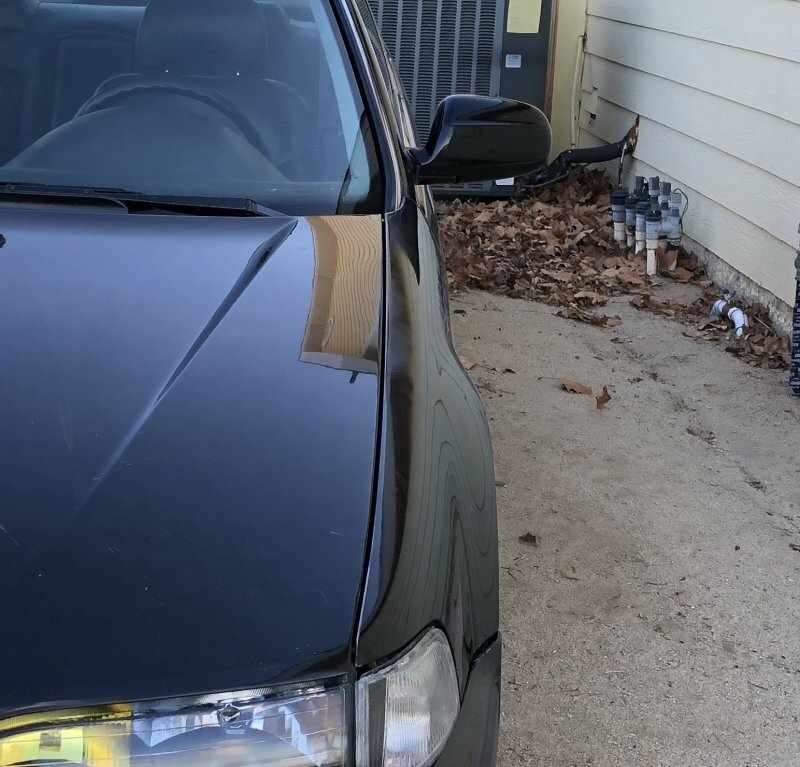 So now I’m ordering the 96-2000 Integra power folding mirrors which are allot cheaper to buy, they mount to our CB perches and have the correct mirror lense mount for the TL heated option. If you want the style of housing that matches the CB then you can get the 94-95 Integra pfm’s. The “Mc Rib” style (96-98 TL, 96-2000 Integra, 97-2000 Prelude) is the type I like. Awesome stuff! I haven't seen someone use a lancer lip on their car in ages! If it weren't for me coming across a Sigma lip, that's probably the direction I would've gone. Great choice. I've also been contemplating doing the DIY SI-T lenses myself. They look like they turned out great! Those metal panels from the SE's are great for upholstering projects. Makes installation a cinch.